Facebook’s Internet.org is now Free Basics, and critics should love it. After activists criticized the social network’s Internet project for the developing world, Facebook listened. 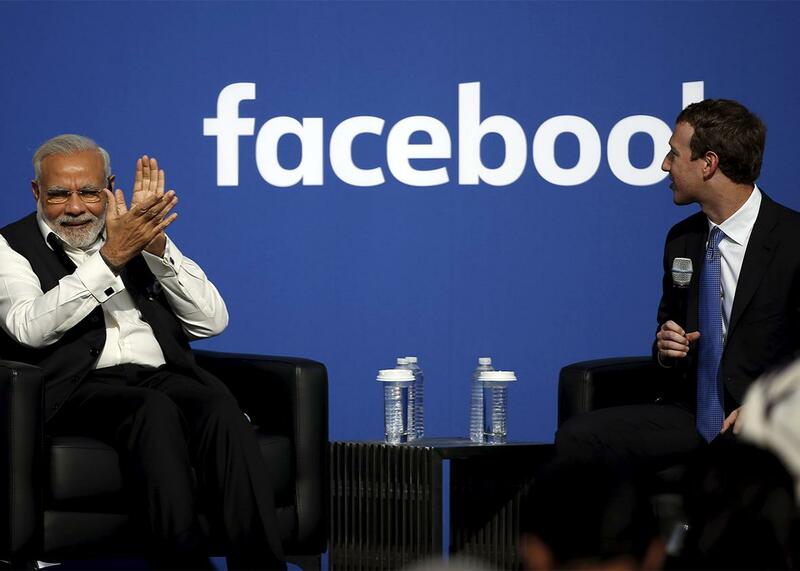 Indian Prime Minister Narendra Modi applauds as Facebook CEO Mark Zuckerberg speaks onstage at Facebook’s headquarters in Menlo Park, California, Sept. 27, 2015. Facebook’s announcement last week that it is rebranding its Internet.org initiative—a bundle of free Internet services that has been rolled out, step by step, in developing countries over the last couple of years—is the company’s most recent, broadest effort to answer the project’s critics. Internet Dot Org neither offers the Internet to its users—nor is a dot org, denoting a charitable organisation. It just seems to be a cloaked proxy for the Facebook Economically Disadvantaged User Acquisition Department. But Facebook’s renamed bundle—it’s now called “Free Basics”—isn’t the same as the original Internet.org project. The biggest change since the original? Facebook has made it official that the renewed platform is open to all developers, not just websites and services it chooses. If you meet the platform’s technical standards, you can get any new service included in the Free Basics program. It’s even adopting the Web security protocol HTTPS, which offers users better security. Facebook has listened to its critics—and it may even turn some skeptics into supporters. The key question now is whether activists around the world who’ve fought Internet.org (and similar services) will recognize that, as of last week, it’s time for them to declare victory and embrace what Facebook and allied companies are trying to do. Free Basics could be the major turning point for Facebook’s efforts to promote Internet adoption in developing countries. What’s plagued Facebook’s efforts until now has been an emerging conflict between two longstanding goals of Internet activism. On the one hand, activists concerned about the digital divide have been working internationally, sometimes for decades, to promote laws and policies that ensure poorer citizens have access to digital tools and the rich informational resources of the Internet. At the same time, net-neutrality activists have labored to preserve one of the Internet’s original design features—its character as a neutral, open platform that allows anyone to provide new services and apps. The digital-divide problem has been a particularly difficult nut to crack. Internet access in developing countries has been throttled by limits on the infrastructure needed to support online services. It’s a three-stage problem: 1) a country with little telecom infrastructure generally has to promote capital investment to build the capacity to support meaningful mobile Internet access; 2) even the cheapest means to build towers and allocate frequencies for mobile phone networks (the primary way these countries will get online) are costly; and 3) in low-per-capita-income countries, only a minority of citizens can afford mobile service beyond the most basic, usually just voice telephony and texting. Take a country like Myanmar, where mobile providers target low-hanging, relatively affluent markets like the urban populations of Yangon and Naypyitaw. If you live in a rural area, there’s a good chance you don’t even have mobile access yet—but if you do, your yearly income may be too low to afford much beyond a basic-feature phone. As any international traveler knows, mobile data plans can be superexpensive. For rural users in developing countries, the prices are stratospherically out of reach. What’s worse for Internet companies is that these underserved populations may not realize what they’re missing (e.g., free encyclopedic resources like Wikipedia or health care and agriculture-development resources—stuff you can’t get through voice or texting). If there’s no market for richer, more diverse Internet resources, it’s difficult to persuade infrastructure providers, whether foreign telecoms or homegrown ones, to invest in reaching poor users. That makes it difficult for Internet companies to open up new online marketplaces that could ultimately serve poor users (as well as the rest of us). The strategy behind Facebook’s original initiative with other companies in the Internet.org project had been to change all that. At first, they would provide a suite of free, low-overhead services and Internet resources (like Wikipedia Zero) in collaboration with local telecom providers in developing countries. The difficulty for this original version of Internet.org was that the project had to decide at the outset what websites and services to include. The only services that would work adequately in low-bandwidth environments in South Asia, the Asian Pacific, and Africa are services that don’t require much bandwidth. Textcentric offerings like Wikipedia can manage these limitations reasonably well; graphics- and video-heavy sites, not so much. This left Facebook vulnerable to charges that it has been deliberately “picking winners” when it selects services to be included in the free bundle of Internet.org offerings. The criticism stung—the company already had been criticized for its independent zero-rated offering, Facebook Zero, which it launched in 2010. Chile’s telecom regulator later decided that Facebook Zero violated the country’s net-neutrality principles. But Facebook and its founder, Mark Zuckerberg, hoped that the nonprofit partnership Internet.org would change all that. In India, the sixth country in which Internet.org partnered with a local telecom provider to offer free services, Facebook ran into a bigger problem. Just as Internet.org services were being rolled out to the estimated 75 percent of Indians who don’t have any Internet access at all, the company faced a public-policy storm not of its own making. As Indian journalist Manu Joseph wrote in the New York Times, “[w]eeks after the initiative emerged, an Indian telecom operator tried to introduce a service that would make it free or cheap or faster for people to gain access to some applications that have a commercial agreement with the operator.” That commercial initiative, Joseph wrote, drew generalized opposition from India’s net-neutrality activists. As a result, the noncommercial partnership Internet.org found itself in the crosshairs. Facebook does not charge for any application that wishes to be on Internet.org, and it does not post ads on the Facebook pages of the users. Also, the company does not pay Reliance [the first telecom partner in India] to provide the free service. Mr. Zuckerberg has said that any telecom operator would be allowed to carry Internet.org. That defense is compelling, not least because Joseph himself has been a skeptic of Internet.org only a few months ago. As announced, Zuckerberg’s service prohibited all use of the secure Web protocol HTTPS (the one that lights up the little lock image on the status bar of your browser). HTTPS, and its authentication mechanism, are the only reasons that online banking and e-commerce are safe for consumers. So not only were the Indian poor to lose all chance of anonymity on the Net with respect to Zuckerberg, but they were also to abandon any possibility of common safety in the Net. My admiration for Moglen and Choudhary is unbounded—their previous work for Internet freedom has been exceptional—but I think they have Facebook wrong here. And even if they’re right that Free Basics is implementing Web security inadequately, it’s a big leap to imply, as they do, that Facebook is deliberately choosing to undermine security at the outset. I simply don’t find that implication credible. More importantly, I have yet to see a credible alternative plan from net-neutrality absolutists that gets India’s poor (and the rest of the world’s poor) on the Internet in a hurry. As a former staff member and ongoing supporter of Wikipedia, I care about this a lot. And independent think tanks like the Brookings Institution agree with me about the potential value of zero-rated services. At long last, I believe, getting the developing world online, as fast as possible, is the most important priority. If the poor are being exploited, democratic engagement through the Internet should serve as a corrective over time. And if you have faith in Internet democracy the way I do, we at least ought to allow for the possibility that even people at big Internet companies share that faith.